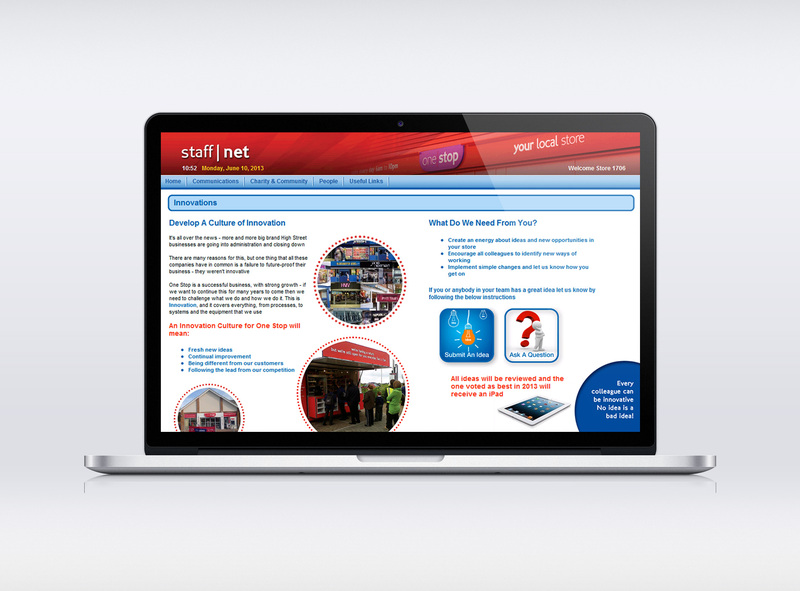 An intranet site designed and developed for a leading UK retailer in the convenience market. The system is based on a SQL/.NET Framework and utilises a number of bespoke applications, all database driven. The project brief was to increase communication between store & head office and to simplify and ease the workload for the staff. This was further emphasised by creating a design similar to tablet touch-screen based operating systems, something very familiar with the team. The result made for a successful transition of moving from a traditional paper-based business to a fully integrated digital environment.